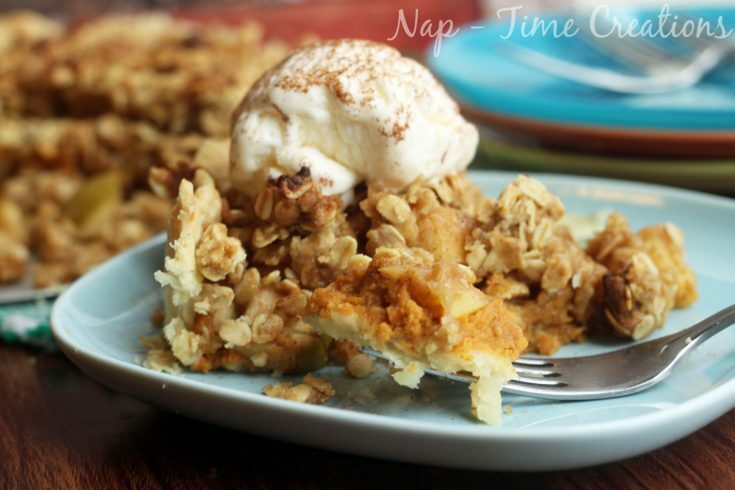 This Pumpkin Pie Apple Crisp is all my favorites rolled into one. 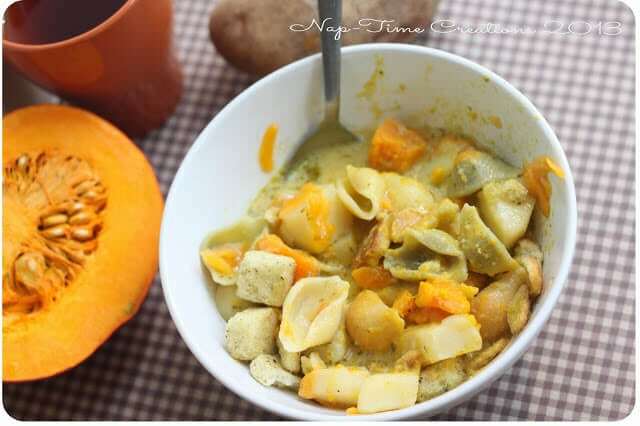 It’s that time of year again… FALL!! 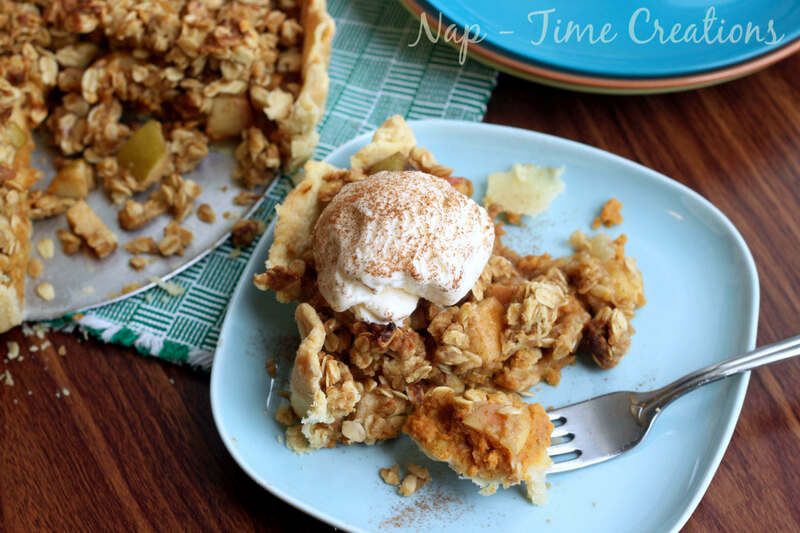 Which means fall baking… PUMPKIN and APPLE! 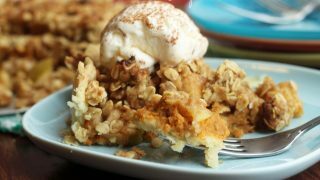 Yup, I love everything apple and pumpkin and have been drooling over my newsfeed for days, so it was time to get baking. 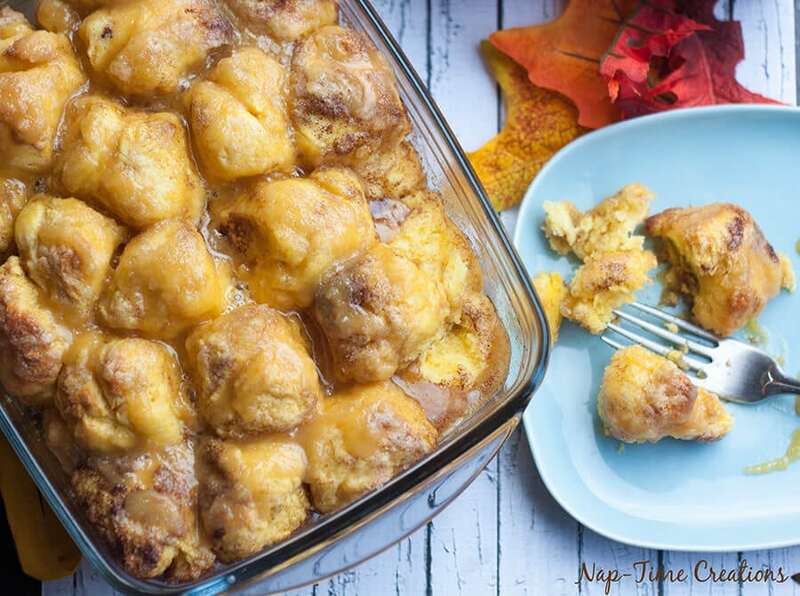 This fall dessert combines two of our favorites. 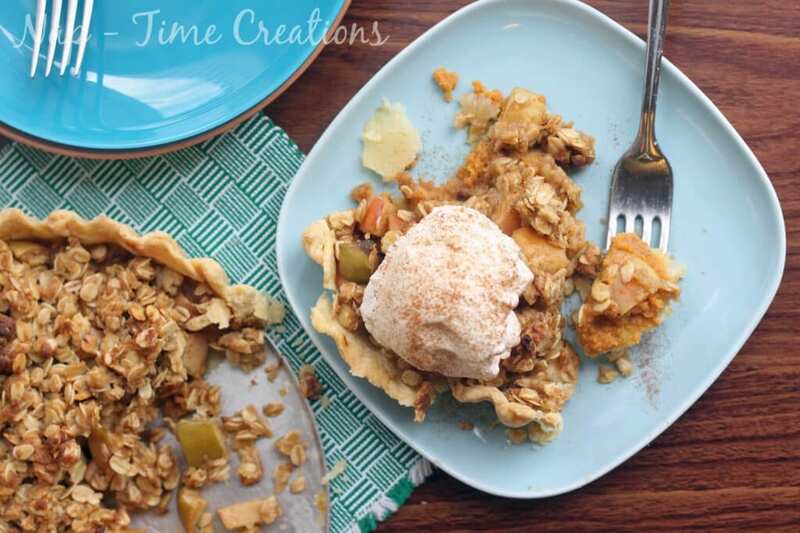 Pumpkin Pie and Apple Crisp! 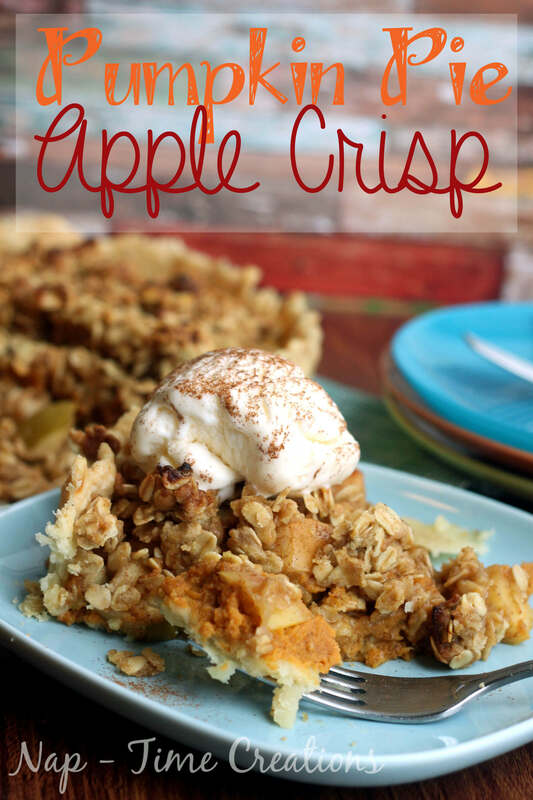 When I first mentioned making this to my husband he was skeptical… actually so was I, but I love Apple Crisp… and I love Pumpkin Pie, so why not combine them into one big happy family? 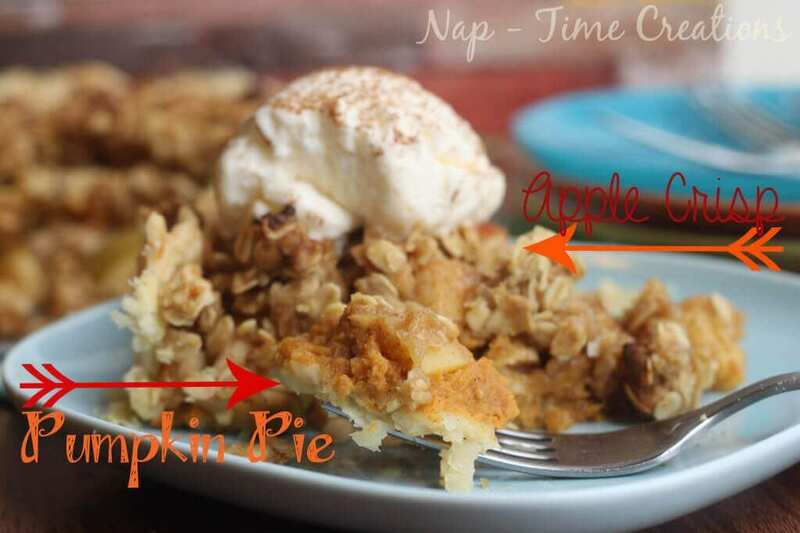 I love having both pumpkin and apple in every bite. You might be skeptical of this combo, but if you like both of these flavors you will love it! 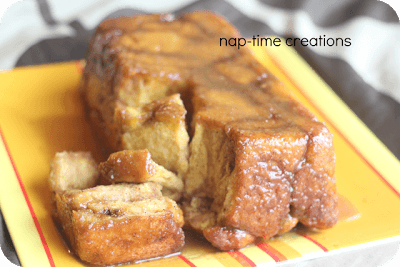 Ok… let’s make one of these mouth watering desserts. 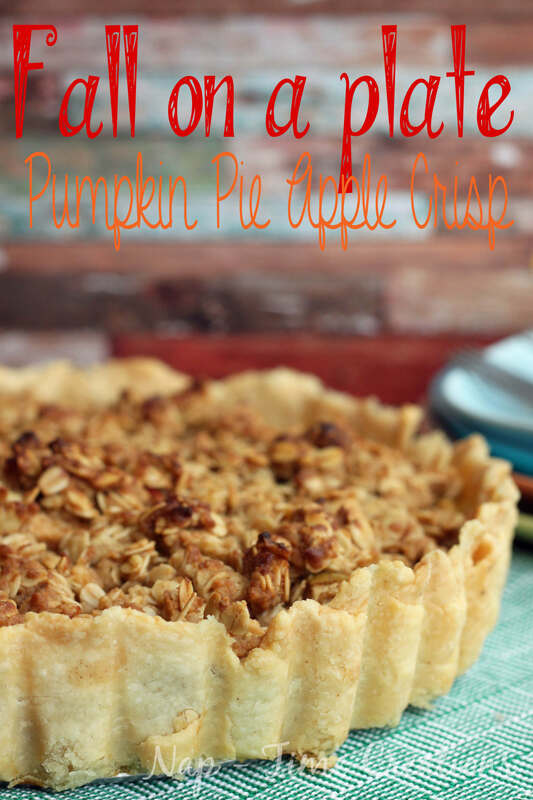 1 pie crust (I used the just add water box kind, but you can also use an unbaked frozen one or use your favorite recipe from scratch. 1. 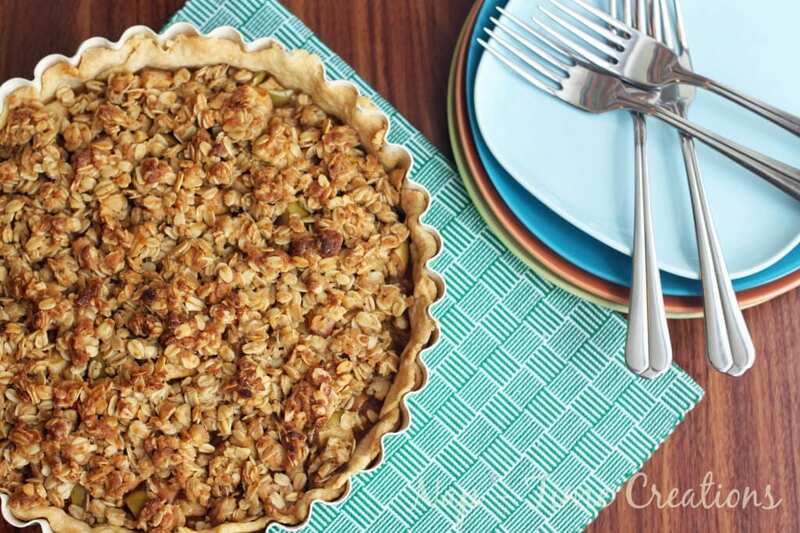 Mix all the layer 1 ingredients together and put into an unbaked pie crust. Bake for 10 min. 2. Take out of the oven (will still be soft) cool for 10 min. 3. 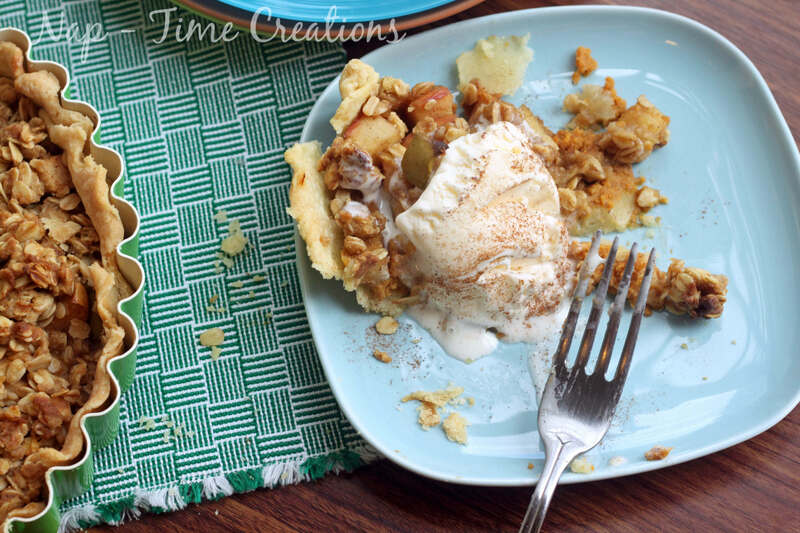 Mix chopped apples with sugar and cinn. Put on top of the pumpkin trying not to disturb the pumpkin too much. 4. 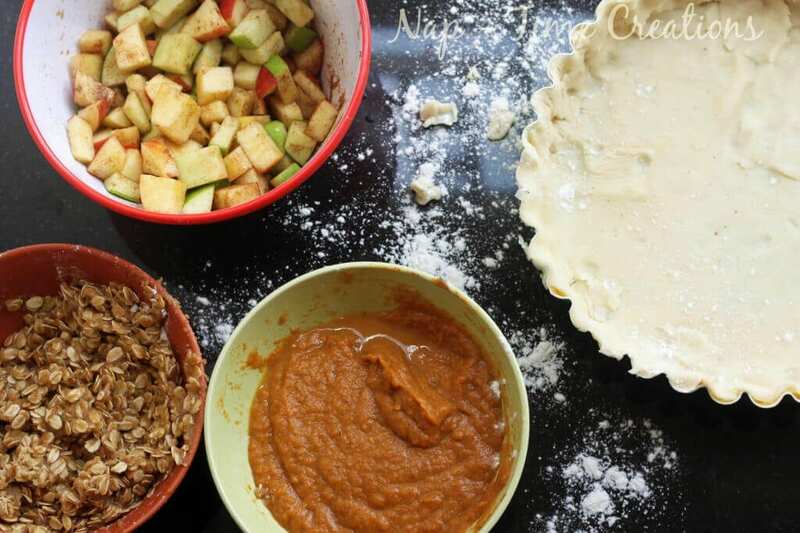 Mix the layer 3 ingredients together and drop small bits of the crumble mix on top of the apples. 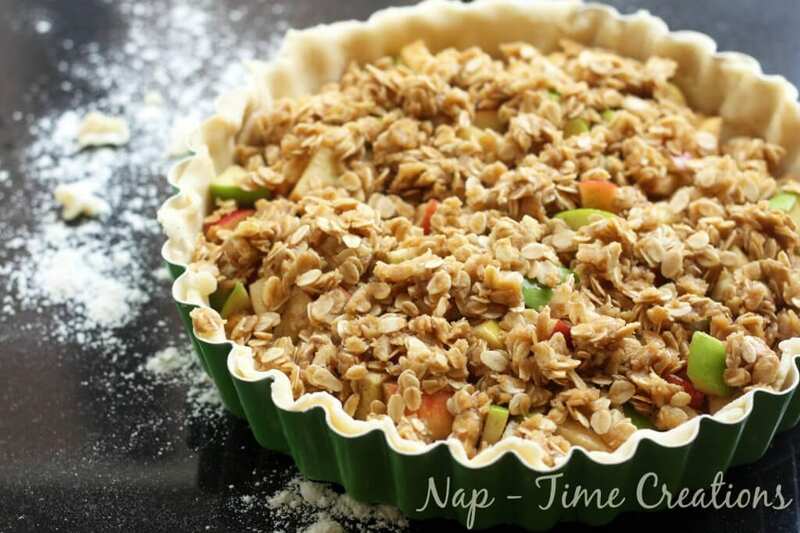 Put back into the oven for another 35-45 min until the crumble begins to brown and the apples are soft. This is how it looked unbaked. and I think its pretty nice to look at too! Thanks so much for featuring my canisters!!! Have a great week! 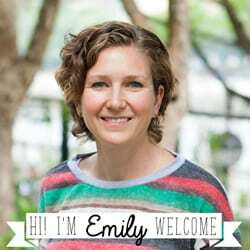 Hi Emily, thanks for hosting, your pumpkin pie, apple crisp sound yummy. Your dessert would be perfect for my son. He is so indecisive. Since you’ve combined the two, there’s no choosing. Thank you for hosting. I linked a Chocolate fudge cake to celebrate 4 years of blogging. G’day Looks delicious Emily, true!